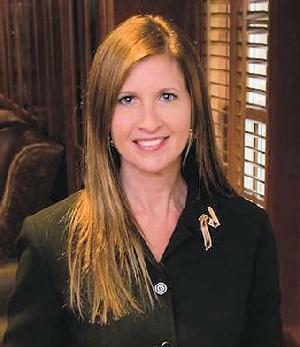 Judge Elizabeth Coker to Resign as 258th Judicial District Judge, LIVINGSTON, October 21, 2013 - Today Judge Elizabeth Coker announced that she is resigning as judge of the 258th Judicial District Court effective on December 6, 2013. The resignation is the result of an agreement with the State Commission on Judicial Conduct. The Commission leveled a variety of allegations against Judge Coker, including alleged instances of inappropriate communication with attorneys and jury panels. The Code of Judicial Conduct regulates communication between judges, prosecutors, attorneys appearing in court and juries. “The Judicial Commission made no finding or determinations of fact in my voluntary resignation, and I have not admitted guilt, fault or liability in my voluntary resignation. While I could have fought these allegations, it would have involved significant time, significant expense, and disruption to everyone involved. I did not feel that was in the best interests of the taxpayers, our court system, my family or myself” Coker stated. “I love this judicial district. The people deserve a judge that is fully focused on carrying out their duties, which would have been impossible for me to do in this situation.” In addition, Judge Coker is taking a voluntary leave of absence until December 6, 2013. “My dad and grandfather taught me that judges have to be accountable for their actions and conduct. Resigning the bench as well as taking a voluntary leave of absence is the best way for me to take responsibility for this situation in a way that honors the office and serves the best interests of Polk, San Jacinto and Trinity counties” Coker stated. “It has been a painful decision, but I believe it is the right decision". “I want to express my sincere regret to the people of Polk, San Jacinto and Trinity counties,” Coker stated. “The integrity and impartiality of our courts have always been my highest priority, and I am deeply sorry that my actions created a circumstance where that could be questioned”. “The Judicial Commission takes the rules surrounding judicial interaction with parties in a lawsuit very seriously, and I will always regret the lapses in judgment that helped create this situation, especially knowing that my conduct as a judge is subject to a higher standard,” Coker stated. In August of 2012, Judge Coker was alleged to have sent a text message from the bench during a trial. The message was allegedly sent to one of the prosecutors in a local child injury suit. Judge Coker's Signed Agreement to Resign in Lieu of Disciplinary Action.